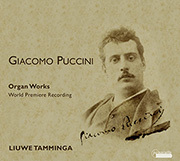 Giacomo Puccini came from a dynasty of church musicians who worked in the Tuscan city of Lucca. 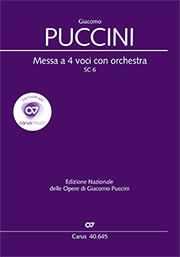 His Messa a 4 con orchestra, premiered there in 1880, seemed to point him toward a career in the same direction, but directly after this, he went to Milan Conservatoire with the aim of becoming an opera composer. 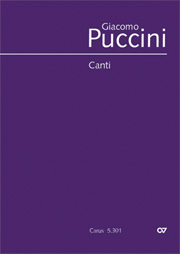 His only independent orchestral works were written there as student works – the Preludio sinfonico (1882) and Capriccio sinfonico (1883), as well as some of his 16 complete surviving songs for voice and piano (Canti), which he composed, with frequent references to his operas, almost throughout his career. 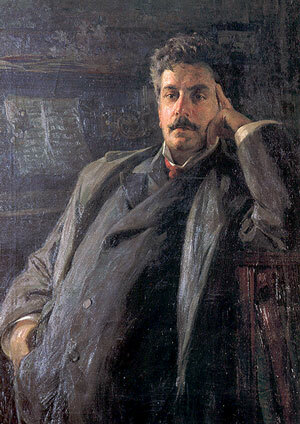 He achieved a breakthrough as an opera composer with Manon Lescaut (1893); between 1893 and 1904 he composed La Bohème, Tosca and Madama Butterfly, which remain his most frequently-performed works today. 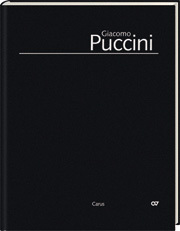 In recent years there has been a growing realisation that Puccini's entire output requires reappraisal. 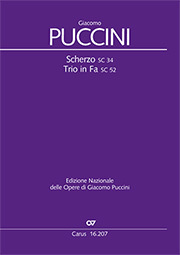 And so, he has increasingly come to be understood as a musician searching for a way forward into the modern age.